A gated and private 5 Bedroom + 5.5 Bathroom Wailea Beach Estate with swimming pool directly on Keawakapu Beach. Impressive Front-Row 1 Bedroom + 2 Full Bath oceanview vacation condominium at the Maui Kamaole Resort in South Maui. Freshly upgraded with contemporary furnishings and a new kitchen plus a fantastic lanai for entertaining, sunsets, and whale watching! Contemporary and impressive, an inviting top-floor 2 Bedroom+2 Bath vacation home at Wailea Grand Champion Golf Villas. A discerning condominium for the sophisticated traveler looking for value in a home-away-from-home. Brand New Remodel for this 1Bd/2Ba beach condominium at the Wailea Ekahi resort. This vacation home is nestled in a quiet garden setting very close to the beach and pool with a comfortable lanai to watch whales, entertain, enjoy sunsets and bbq meals. Beautiful 2 Bedroom+2.5 Bathroom private two story townhouse condominium with new kitchen appliances, a sofabed for extra guests and two large, comfortable lanais to watch whales, entertain, enjoy sunsets and bbq meals. A perfect place to relax and enjoy. 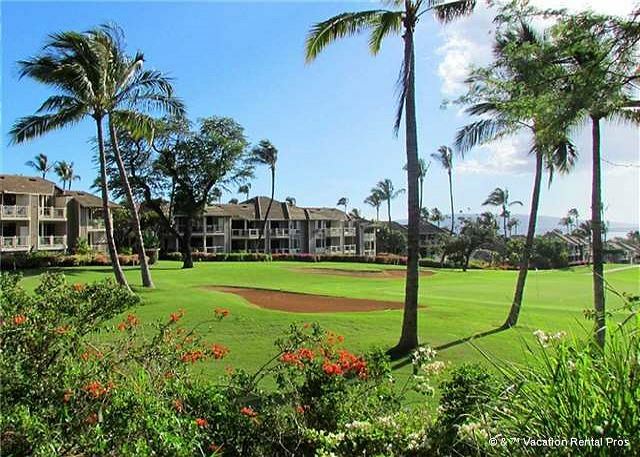 Impressive 2 Bedroom+2 Bath Golf Course vacation condominium at the Grand Champion Golf Villas in Wailea. Spectacularly upgraded with contemporary furnishings and modern electronics nestled in a quiet garden setting among pools, palm trees, and fairways. 2011 Luxurious Wailea Elua 1 Bdrm+2 Ba Private vacation condominium immaculately upgraded throughout plus an extra large lanai for BBQs, entertaining, and relaxing to afford guests a First-Class Wailea Elua Village visit. This is the place to stay at Elua. Kamaole One #5 is one of the best beachfront vacation homes that Kihei has to offer. Steps across the lawn to the sugary sand of Kamaole 1 beach in Kihei Maui. 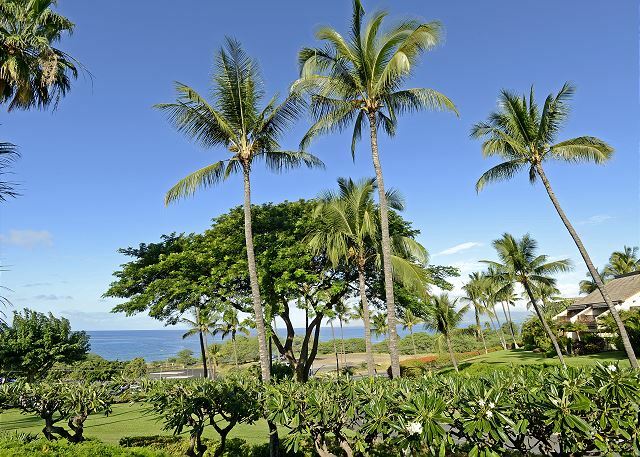 Quiet and secluded yet close to everything, this is where you want to spend your Maui Holiday. Spectacular 1 Bdrm + 2 Bath vacation condominium with an expansive view across the lawn to the azure Pacific Ocean. The property sits on white sandy Ulua Beach, one of Wailea's premier snorkeling and swimming spots. Brand New Upgrades 2 Bedroom+2 Bathroom vacation condominium that can accommodate up to 6 guests in a garden setting close to the azure Pacific Ocean. 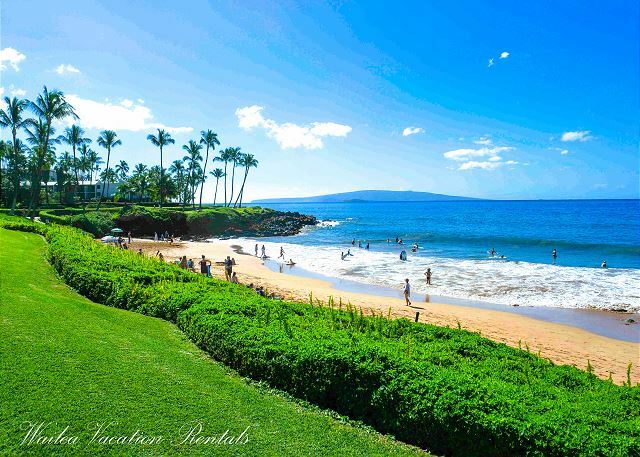 The Elua Village sits on white sandy Ulua Beach, one of Wailea's premier snorkeling and swimming spots.